Brentwood Associates is a leading consumer-focused private equity investment firm with a 30-year history of investing in leading middle-market growth companies. XPND Capital is a private equity firm focused on growth investments in exceptional Quebec-based companies. Third Eye Capital specializes in providing innovative debt financing solutions to primarily middle-market Canadian companies that are overlooked or underappreciated by conventional sources of capital. Telesystem is a family-owned media and technology holding. GCI Ventures Ltd. (GCI) is a Canadian private equity and venture capital investment company focusing investment in technology and innovation, real estate and alternative energy assets. 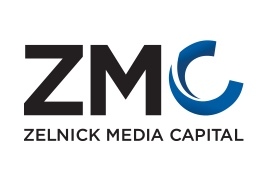 Founded in 2001, Zelnick Media Capital (ZMC) has deep experience in executing private equity investments in the media & communications industry. Hawthorn Equity Partners is a private equity firm focused on investing in growth-oriented, knowledge-based middle market companies across North America.